The Canadian Federation of University Women (CFUW) Saint John is a women’s organization that was established in 1924. It is a member of The Canadian Federation of University Women (CFUW), a voluntary, non-profit, self-funded bilingual organization of over 10,000 women university graduates in 122 member clubs. These clubs are active in public affairs, working to raise the social, economic and legal status of women, as well as to improve education, the environment, peace, justice and human rights. Clubs are member affiliates of the International Federation of University Women (IFUW). CFUW-Saint John first approved the founding of an annual tuition scholarship of $60.00 in February 1942 for a local female post-graduate entering grade 12. Proceeds from a rummage sale were used for the initiative. The first recipient of the scholarship was Miss Marion Magnison of Saint John High School. CFUW-Saint John has continued to provide scholarships locally over the years, while at the same time supporting scholarships at the national level. For many years, an annual Book Fair was a local club fundraiser, as well as a vehicle for encouraging literacy economically. The club has also sponsored various sales and functions as it continued to build its scholarship fund. Over the years, CFUW-Saint John formed many committees, responding to international, national and local matters of concern to educated women. As part of the International and National Federations of University Women, they were regular participants in their meetings, taking positions in matters of mutual interest relating to the social, economic and legal status of women, as well as to improve education, the environment, peace, justice and human rights. 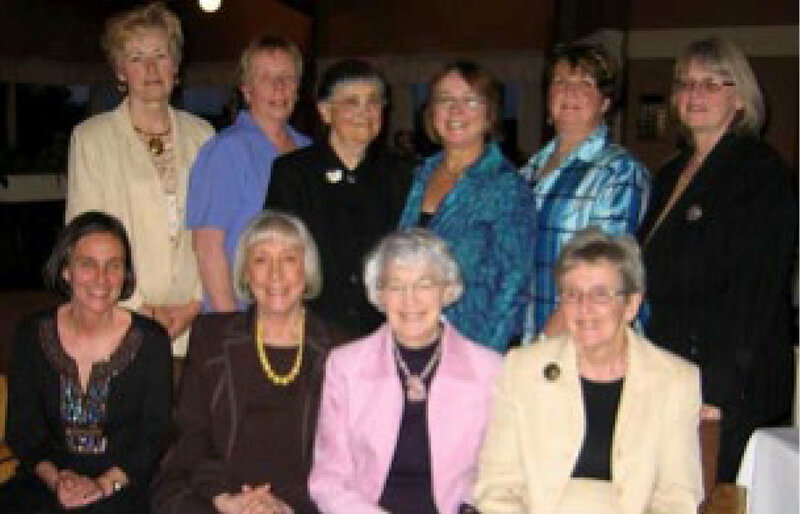 The Greater Saint John Community Foundation Board members and the Canadian Federation of University Women-Saint John celebrated local philanthropy and education on March 15, 2007. By donating $64,000 to The Greater Saint John Community Foundation, a new permanently endowed fund has been created by CFUW-Saint John. It will annually support three scholarships for women from the Saint John area who are or will be enrolled as full-time university students.